NAINI LAKE:- The Lake is a photographer's delight .It is the Naini lake after which the hill station has been named . The lake is beautifully surrounded by verdant hills from all side, feast for you eyes . According to a legend , the lake came into existence when the eye of Satis body fell out while lord Shiva was carrying her . The whole town of Nainital is situated circling the naini lake . NAINA DEVI TEMPLE:-The temple is a major crowd both for pilgrims and tourists . The original structure of theNaina Devi temple was destroyed in this year 1880. the temple was later rebuilt to its present structure .It stands on the banks on the Naina lake , toward the northern side .The temple has the idol of the presiding deity Maa Naina Devi . 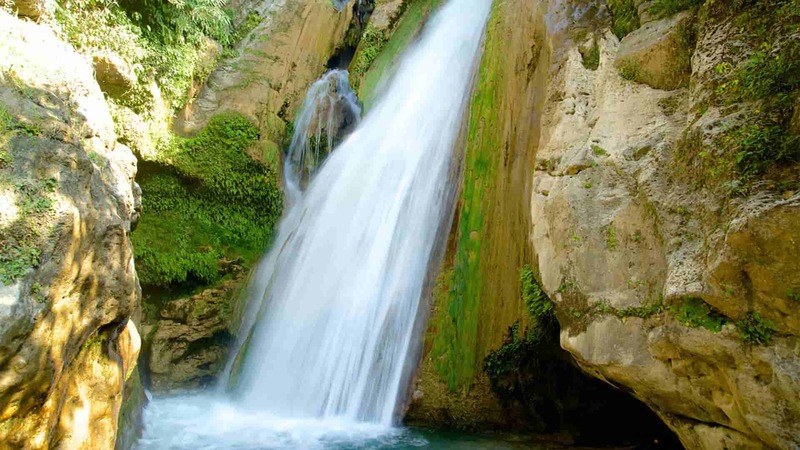 MINI WATERFALL :- About 5 kms away from Nainital on the way to Kaladungi just below Sariyatal, (2100 MT) Waterfall is the beautiful tourist spot, waterfall looks refreshing as it splashes milky water through the rocks into a pool of water maing it is a must visit. CAVE GARDEN :-The Eco Cave Gardens in Nainital is a favourite of both the young and the young at heart. Kids can particularly enjoy their time at the gardens as it can be a good introduction for them of an eco-friendly life. The famous Caves Garden features six caves along with a wonderful musical fountain. Do remember to make a visit to the gardens to add to the charm of your holidays in Nainital. over night stay . oday morning after breakfast drive to Kausani.Kausani is a hill station and Village situated in Bageshwar district in the state of Uttarakhand, India. It is famous for its scenic splendour and its spectacular 300 km-wide panoramic view of Himalayan peaks like Trisul, Nanda Devi and Panchchuli.Evening time kausani. ANSHAKTI ASHRAM (Gandhi Ashram) : - Gandhi Ashram Vere Detchment Ashram of Mahatma Gandhi During Consideration Very Very Negative Negative Negative is this time o studs Ware Place bread Vere Detchment yoga. Yoga was the Detachment were Selfles Action and the Gospels OF ONE OF Kmyanly Literary Works of Mahatma Gandhi Excluded Excluded Excluded were Deskribed Knsidered'S Finest tablet. The Museum Houses the Gandhi Ashram, photographs and His Vrittings Kntans Habitat reverse. SUNRISE AND SUNSET POINT : - after fresh up you can see the sunrise and sunset point. Morning after breakfast, proceed to Jim corbett . On the way Ranikhet. Jim Corbett National Park is a forested wildlife sanctuary in northern India’s Uttarakhand State. Rich in flora and fauna, it’s known for its Bengal tigers. Animals, including tigers, leopards and wild elephants, roam the Dhikala zone. On the banks of the Ramganga Reservoir, the Sonanadi zone is home to elephants and leopards, along with hundreds of species of birds. On the way sightseen and Reach jim corbett transfer to hotel and overnight stay at hotel . Morning after breakfast, proceed to Jim corbett . On arrival, check into your hotel. Later, enjoy a jeep safari to spot a variety of wildlife. On the way sightseen and talk After sightseen transfer to Delhi . Overnight stay at Hotel . Comprehensive Package for 2 Adults in 1 Room for 5 Nights. Nainital Weekend Package is your pass to unlimited enjoyment in the hills. 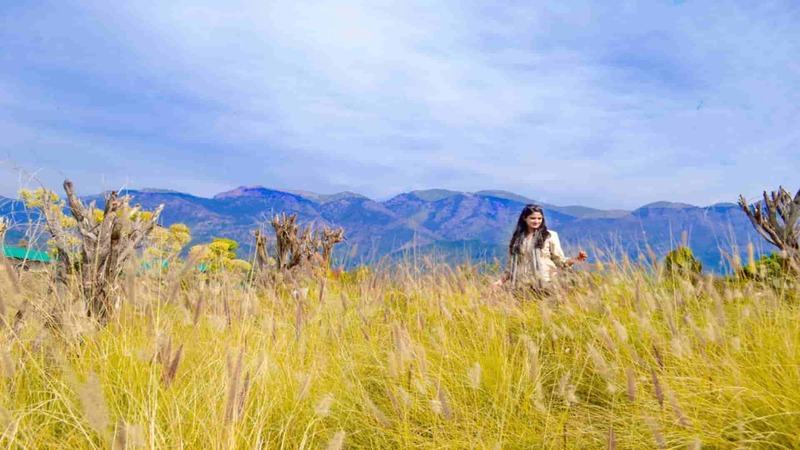 Uttarakhand is a treasure trove of lovely natural beauty. Nainital weekend package with price is available with us. Nainital weekend package is the best exploration of the hilly life. Nainital weekend package with price is all inclusive and pocket friendly. One of the best ways to explore Uttarakhand and the Himalayas is Nainital tour package. This great Nainital trip from Delhi will make you feel blessed. Nainital weekend package with price is sure to set you explore the heavenly Uttarakhand. Nainital trip from Delhi is a lovely experience everytime. Feel at bliss in the himalayan wilderness. Delhi to Nainital tour package is a great adventure. Nainital tour package is always an awe inspiring one. Nainital weekend package with price details is available the web. Your mind is sure to blow away. Nainital tour package from Kolkata is also chosen by touirists. 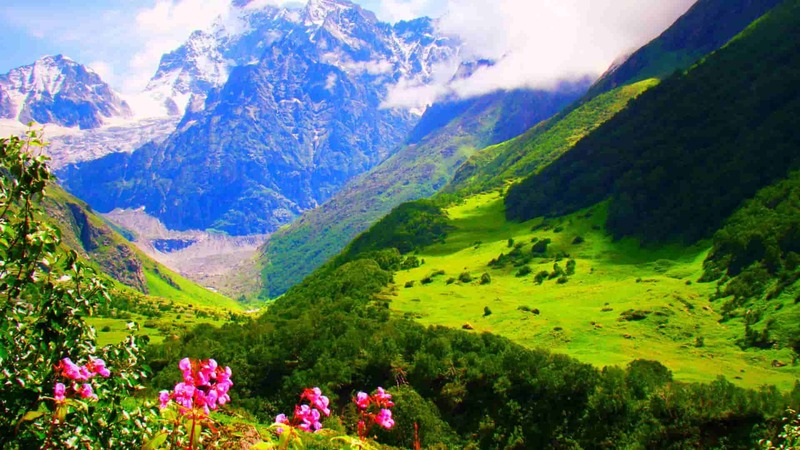 Nainital tour package is the best way to find solace in the heavenly Uttarakhand. Just be sure to check the details of Nainital weekend package with price. This Nainital tour package is the most cost affective and a brilliant one. 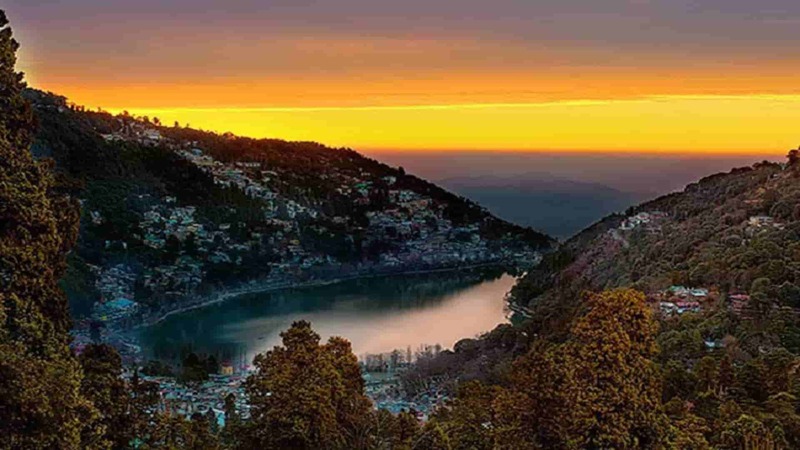 Nainital trip from Delhi is a joyride straight to Heaven. Feel the constant awe of nature beauty with Nainital tour package. Nainital tour package from Delhi as well as Nainital tour package from Kolkata. These both travel packages are lovely. Nainital tour package is a festivity in itself. Nainital weekend package with price will convince you for sure. The joyride to Nainital tour from Delhi is marvellous. Nainital tour package is certain to win your heart. A trip to Nainital is all you need to explore the hill resort and its pristine natural beauty. Come over to the heaven named Nainital and explore the nirvana called Nainital. May your love affair with nature lasts forever.